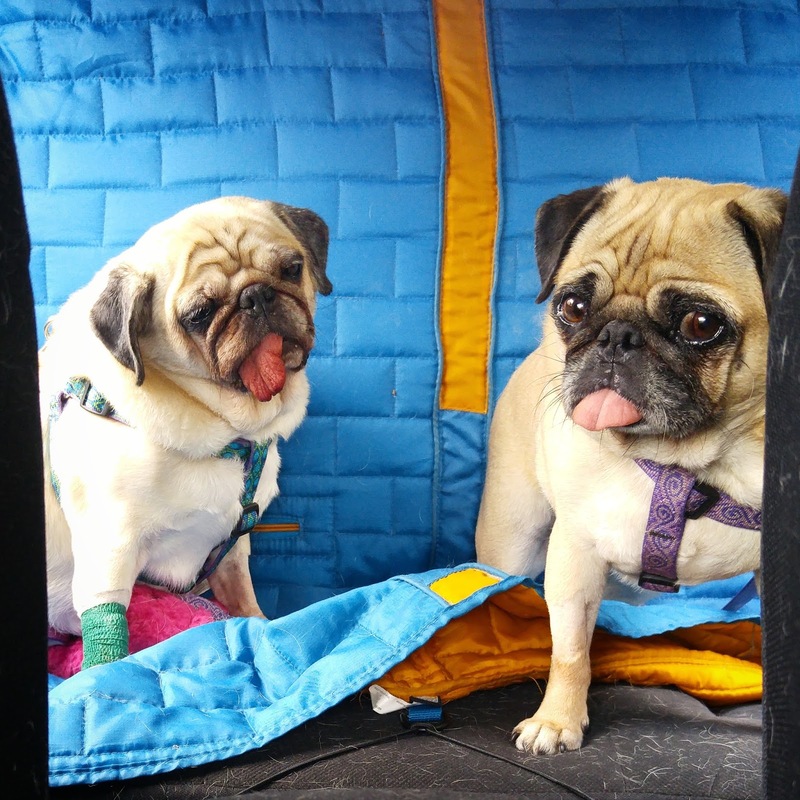 If you follow me on Twitter, Instagram, Facebook, or Tumblr, then you'll already know that Sunny and Rosy went to the vet on Friday for a teeth cleaning and had several teeth removed. 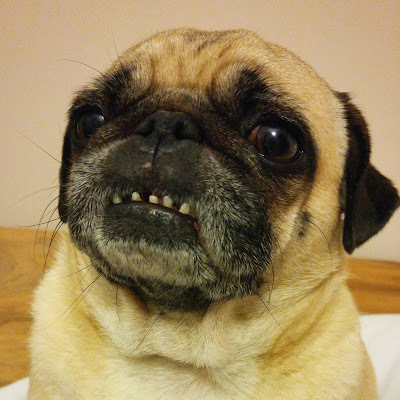 Sunny's had quite a few teeth removed over the years so I'm used to it with her. 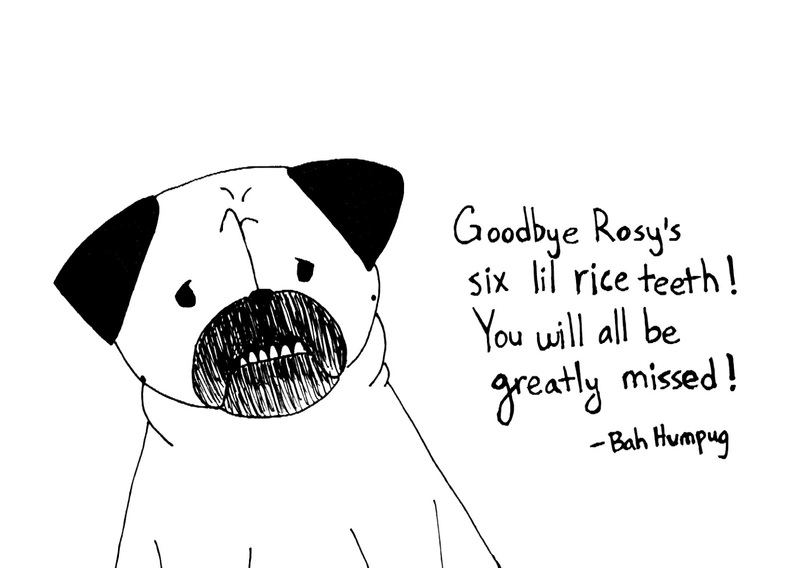 But Rosy's always been my puppy (even though she's actually about 6 years old right now) and one of her most distinctive funny traits has been her adorable lil rice teeth that stick out on the bottom. This was her first teeth cleaning and extraction too. 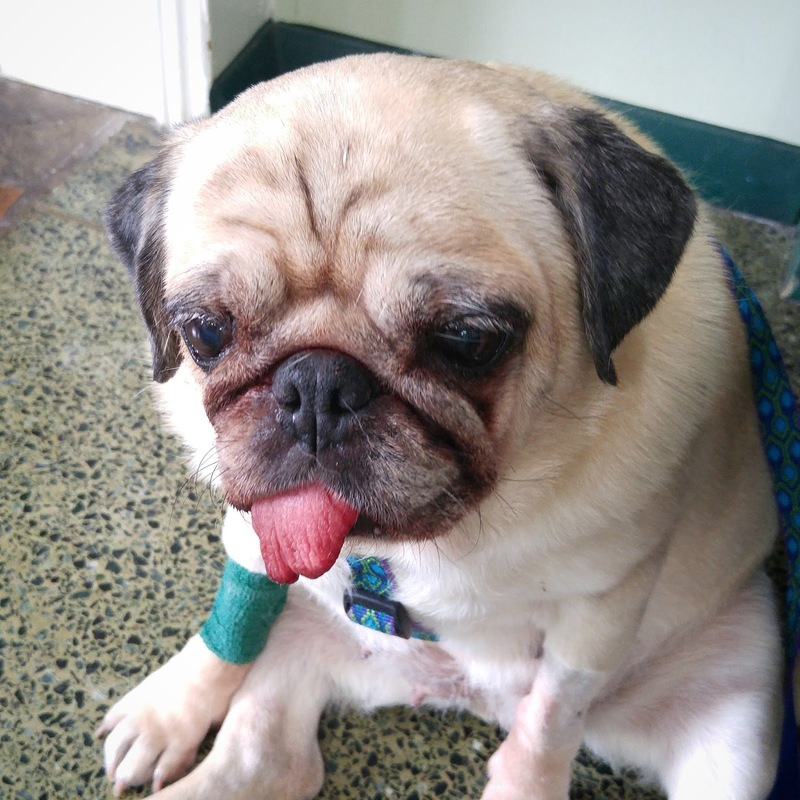 Well, her teeth were in bad enough condition that the vet ended up removing all six of her lil rice teeth! Sunny had a couple teeth removed too, and the vet said her tongue might stick out even more than before. To which I said, "More than before?! Is that even possible?!" 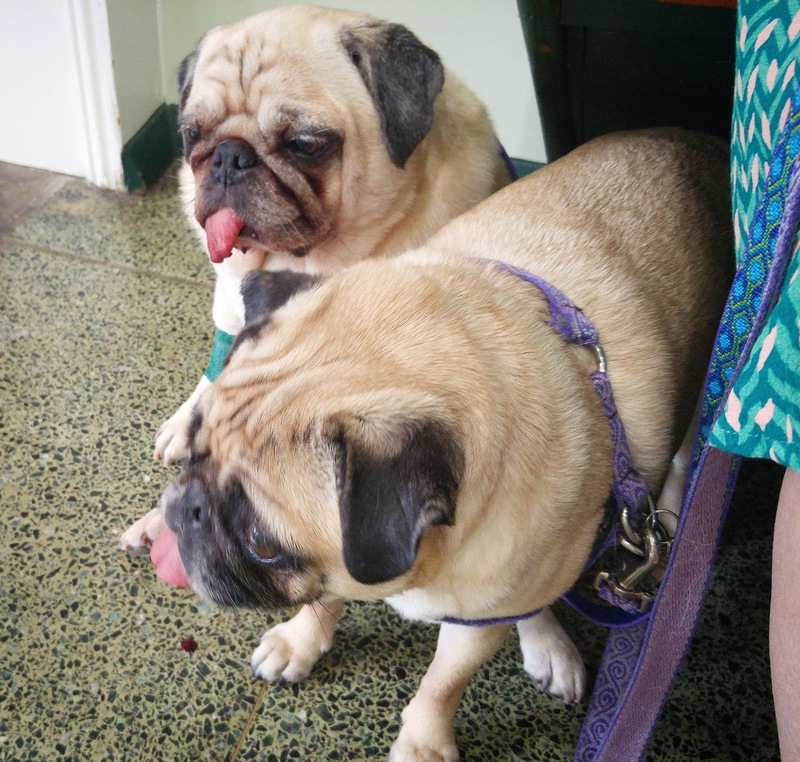 I knew that Rosy's teeth in the front weren't in great condition. 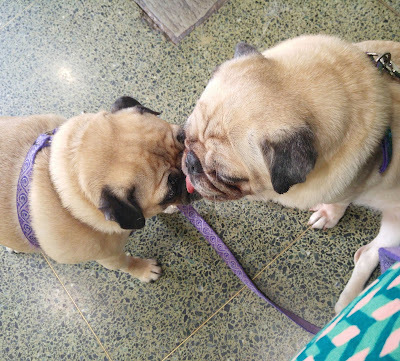 I have a hard time cleaning them because Rosy wraps her lips tightly around them if I try getting in there. And the one time recently I was able to try to pry her lips open, her riceteeth moved easily at my touch. I know that it's better for her health in the long run to have the teeth removed now (and her breath no longer smells like death), but I miss them so much! 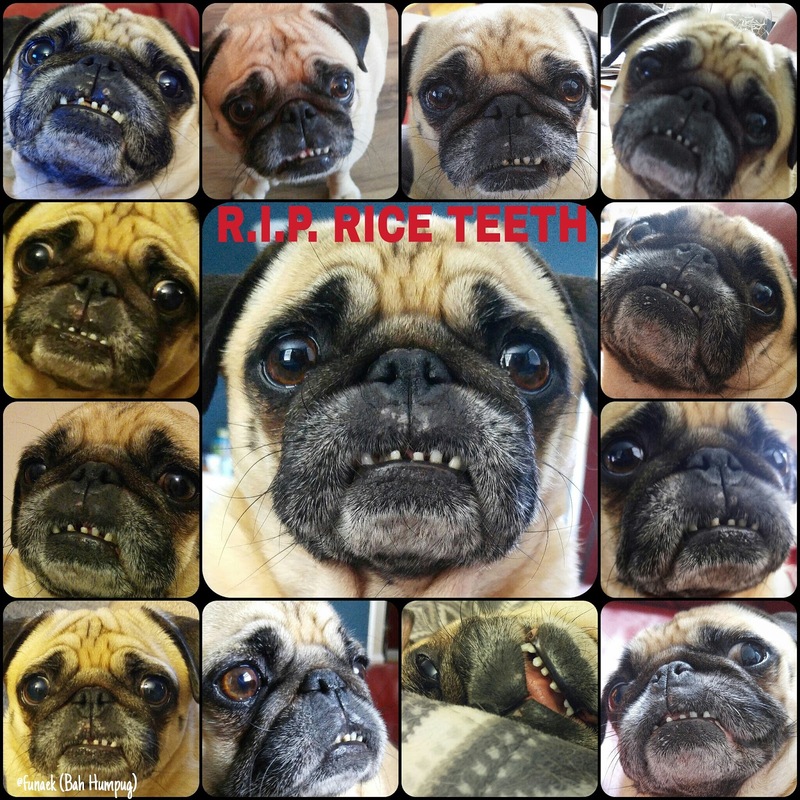 So in remembrance of Rosy's adorable lil rice teeth, below are some old photos of her smile and more recent photos from their vet visit. Sunny's procedure was after Rosy's and so she was still very groggy and out of it when I picked her up. 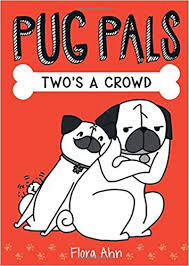 So sad and so cute! Sunny and Rosy really bonded during their ordeal. They've been total snuggle bunnies with each other ever since! The ride home. They were so unsteady and their heads were bobbing as they kept falling asleep. I drove as fast as I could to get us all home! Don't forget to take good care of your dog's teeth! Good dental health is so important! Poor babies. My Riley age 6 just had 13 teeth removed, same issue. They will feel better soon! Riley sends belly rubs! D'awwww, poor wee girls! 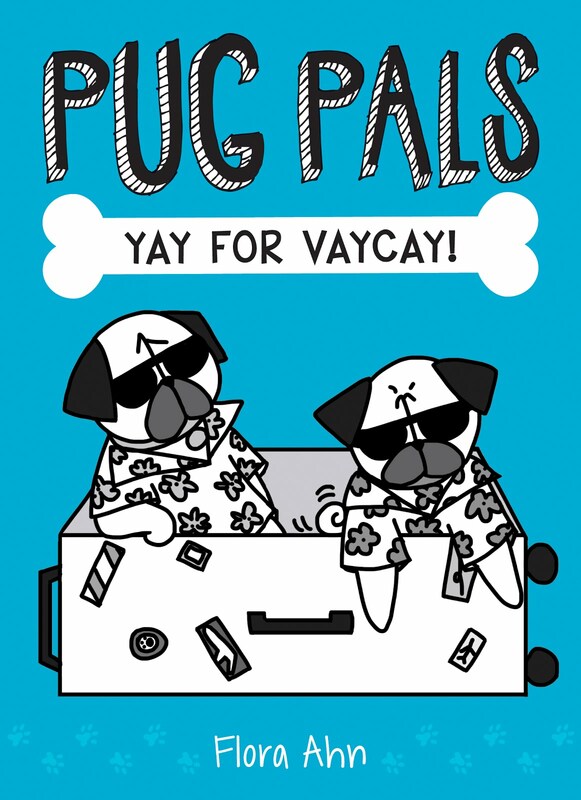 They'll make up for it with extra boopable tongues though! Awwww, poor things. My pug, Willieman, doesn't like me brushing his teeth either. I'm trying some enzyme powder mixed into water, hope that will help. 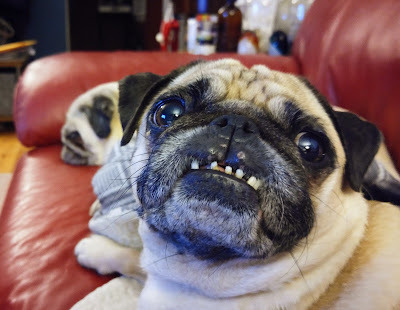 He's had 5 teeth removed and I'd like him to keep the rest if possible. 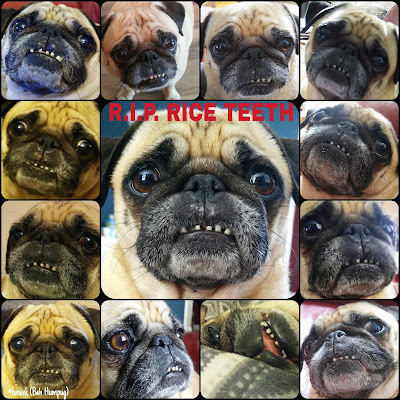 Rosy's rice teeth were so so cute!